…He has spoken extensively to the 31-year-old Scot over many months, and has strongly recommended hip resurfacing. According to The Big Show, who opted for a hip resurfacing over a full out replacement to preserve the possibility of returning the ring, he is faster now, has better range of motion, and has more to give in the squared circle. Dr Edwin Su takes a look at the Birmingham Hip Resurfacing (BHR) System’s 20 year history and outcome data from implant survival rates to opportunities for patients. In his closing slide Dr Su states that hip resurfacing can have advantages of THR including bone preservation, greater stability and a high activity level. He also says that hip resurfacing is alive and well for selected patients. There may only be a few surgeons performing hip resurfacing, but those who have experience with it are still strong advocates. Just had bilateral resurfacing with Dr. Su. I too was forced out of the butterfly after about 40 years playing, and became more of a Phil Esposito. I went in for surgery on a Thursday came out Saturday and was hobbling around my house on Sunday without my crutches. I’m 50 and the Same basic size as you. You should consider bilateral. I will post as I get deeper into the recovery and hit some milestones, for now totally pumped with where I am 3 days after surgery. Nine year update: X-rays look great. Chromium 1.6 ng/ml; Cobalt < 1 ng/ml. Retired May 1, 2016. Skied at least 40 visits last winter. Playing racquetball during the winter/spring. Bagged 6 blue grouse last spring. 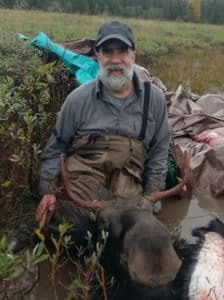 Bagged forked horn moose 10 days ago and packed entire moose out in quarters over 1/3 mile. Used combination sled over several inches deep water and backpack. Moose backstrap ate like tenderloin as moose was young at 1 1/2 yrs. Also bagged 6 Canadian Geese. Just turned 64 and very pleased with performance of LBHR with no issues. I had my hip resurfacing surgery with Dr. Su on May 17th at HSS in New York. Its going on 10 weeks post op and everything is going great. Dr. Su is truly a great surgeon and the Hospital for Special Surgery was fantastic. I live in CT and was diagnosed a year ago that I need a bilateral hip replacement. I currently have pain in only my left so that is the one i am seeking a surgeon for. I am 52 years old and very active and fit. I would like to do the hip resurfacing and thought I was going to book my date with the dr I visited today. he is highly regarded and has done thousands of replacements but only hundreds of resurfacing. he does everything through the anterior approach. January 2, 2017 – Just wanted to share an update. I am a bilateral resurfacing with Dr Su. I am a year and 10 days out and climbed(hiked) Mt Greylock in Massachusetts on 12/31/16. Deep snow which required some post hole-in. Tired and sore(except the hips) handled it much better then the other fifty year olds did. I’m now seven weeks post-op and feel great. Last week my surgeon, Dr. Su, said that my recovery was “off the charts”. I’m going to the gym and doing whatever I can to get back to the way I was 5 years ago before OA hit. I really think that state of mind plays a big role in this recovery. If you want and need to get back to normal, you have to think positive and just do everything you can to achieve that goal.